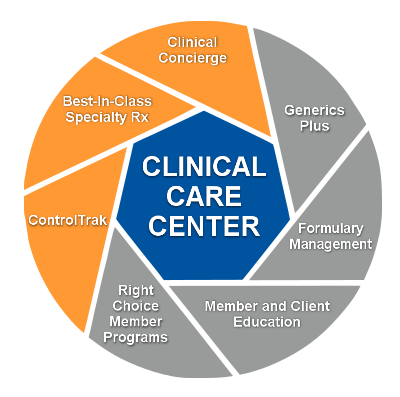 The Clinical Care Center at MedTrakRx is comprised of pharmacists, pharmacy technicians and other medication professionals exclusively dedicated to delivering the best possible pharmacy care to employers and their members. These professionals are constantly working directly with our clients; their members and physicians; and our pharmacies to deliver clinically sound solutions that improve health outcomes and reduce costs. Since 1999, our Clinical Care Center team has developed hundreds of programs that can be categorized into 7 Steps to Improved Outcomes. Click to see the benefits of each.